The Mustang's coolest tech feature is now standard. Ford has just announced that the electronic line-lock system, which allows for perfect burnouts, will be standard for all 2018 Mustangs. 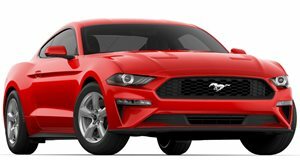 Previously, it was only available on the Mustang GT, but now the entry-level turbocharged 2.3-liter EcoBoost Mustang will also have it, regardless of transmission choice (a six-speed manual or 10-speed automatic). Just to remind everyone, line-lock works by automatically applying the front brakes while the driver hits the gas, thus allowing one to burn rubber for up to 15 seconds. Technically, burnouts are done prior to drag racing in order to warm up the rear tires. But most Mustang owners don’t drag race, but they do love to draw a crowd with smoky burnouts. 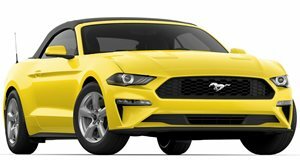 To help promote the 2018 Mustang’s line-lock update, Ford called in Vaughn Gittin Jr. and handed him the keys to a 2018 EcoBoost Mustang. His assignment: pick up random people on their lunch breaks and show them how easy it is to engage the line-lock system. Assuming none of these people are actors, the smiles on their faces says it all.